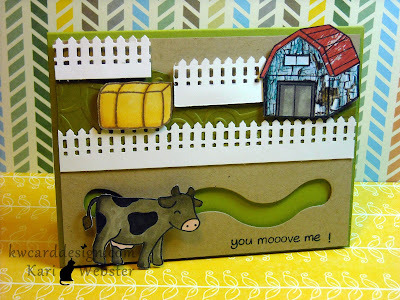 I must be in a very crafty mood today, as I have made four cards - including this card for the Play Date Cafe Challenge # 129. This is my first time participating in this challenge. I like the retro feel of this challenge blog, and thought I would give it a go. In this challenge there are colors that are suggested to follow to incorporate into each submission. For my card I used my SU! set Sprinkled Expressions. This was Sale-a- Bration set that I earned after purchasing $ 50 dollars or more. So, I was happy I was able to pick up this cute set. Since graduation is right around the corner, even though I don't have anyone that is graduating, I thought the theme was nice, and could be used for other things other than graduation. 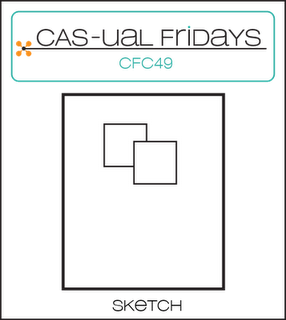 We are starting another week, and thought I would start by making a clean and simple card for this week's CAS-ual Friday Challenge. 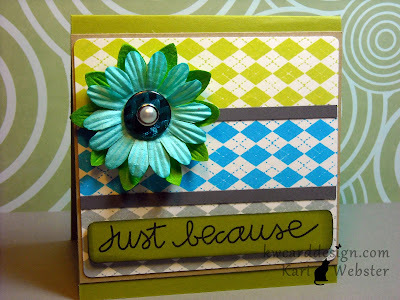 This time we are challenged to make a CAS card featuring trees and or flowers since Spring is here. One of my favorite SU! sets that I have is Trendy Trees, and I haven't played with it in a long time, so I thought I would get it out, and use it for my card. In order to use this set properly, you will need to use a stamp-ma-jig, which is something else I haven't played with in a while. 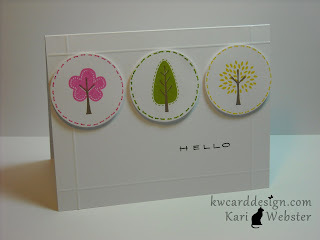 It was fun stamping these trees in spring like colors. Brings so much "happy" to the card, in my opinion. 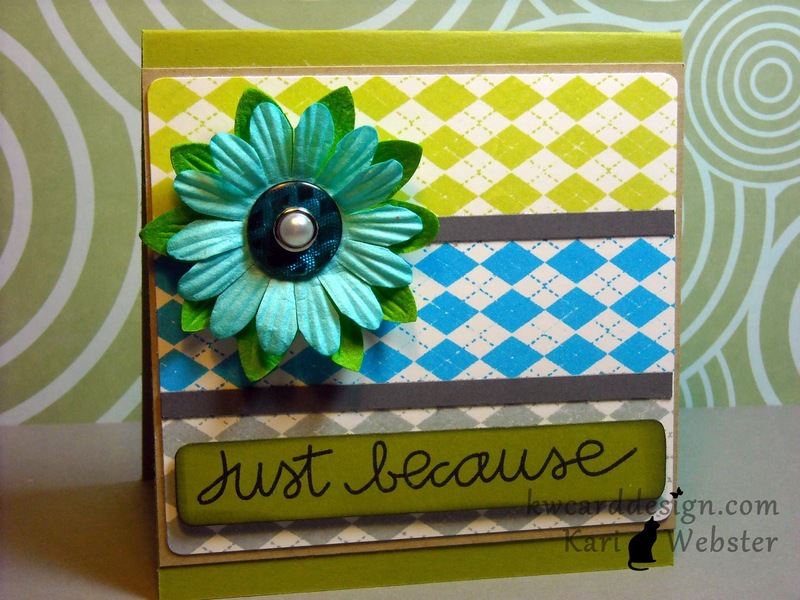 I wanted to do add "something" to the card besides my tree images, so I just made a border on my card base by scoring the outer edges. I punched out my trees with a 1 3/4 circle punch and popped them up on my card. The colors I stamped the trees in are SU! colors Pink Passion, Daffodil Delight, and Lucky Limeade. The tree trunks I stamped in Memento Rich Cocoa ink. I wanted to add a simple sentiment to my card - and this "Hello" sentiment comes from the Stampendous set, "Happy Messages". In other news - I am looking forward to Friday for two reasons, one to see who has been chosen as this weeks challenge winners, and two I will be on 11 days of leisure!! May 4th- 14th, I call VACATION! I am so looking forward to the time!! I feel there will be shopping in my future for craft goodies during this time. :o) Everyone have a nice week!! I have a confession...actually I have confessed this before, but I wanted to dedicate a full post about it :o) They are small, they are compact, they are simply wonderful, they are 6 x 6 paper packs! 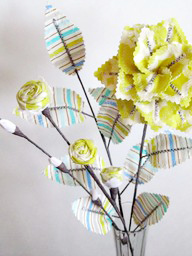 They are so wonderful for card makers, like myself, and so many manufacturers are producing them now!! I have to say that my favorite is My Mind's Eye! Their papers are so gorgeous, and so yummy!! There is no way in this world I will ever use all of this paper, but just knowing that it is in arms reach, just brings a simple smile to my face! I have discovered some others manufacturers I like - Simple Stories comes to mind. 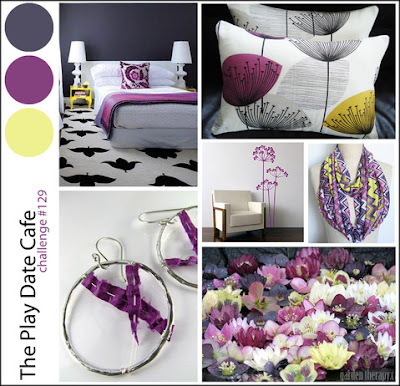 Their line FabUlous is right up my alley with the color palette. Fancy Pants and Basic Grey are others that I like a lot. My small obsession is growing and growing, and its seems that it is turning into a hoarding issue. :o) Of course this ever changing, but here is a pic of my collection - and as I am writing this, I've bought more today online to add to this collection of mine. I must say that I sometimes feel guilty buying more, but not enough to stop!! hahaha. It doesn't hurt anyone, and it makes me happy - goes right along with my happiness of creating!! So - let me hear from you! What is your crafting obsession - what is the one product you have that you can't get enough of!! I'd love to hear from who ever would like to share with me!!! Good Monday Evening to you all - I just finished making my submission for this week's CFC. This week is a sketch we had to follow. I played around with a couple of ideas - and then my eye's met all of my Ranger Blending Tools for my Distress Inks - and thought - "hmmm - I could do something different with those". So - I picked to bright Distress Inks - Ripe Persimmon and Mustard Seed, inked up each of my blending tools really well, and applied the ink straight down. No blending - nothing - so it would take on the shape of that blending tool. Then, I cut out the middle of the two rectangles and thought of my sentiment I was using. 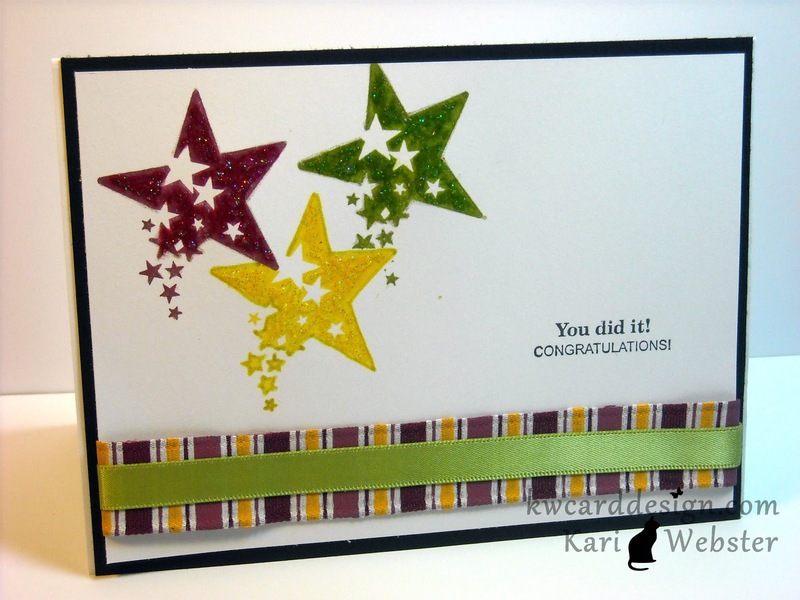 I thought having little twinkling stars went well with my sentiment from Hero Arts. It is hard to tell, but I added some Dazzling Diamonds glitter to my stars. 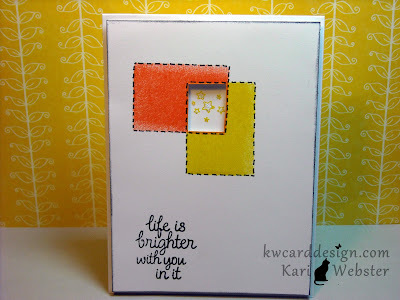 I popped up my card panel from my card base for dimension - and I edged my panel with Black Soot Distress Ink to make it pop against my card base. Hello my friends! Happy Sat. to you! This is my entry for this week's Lawnscaping Challenge. This is actually my second try on this card. It actually went a different direction than where I was going. When I was making my card earlier in the week - I just kept making mistakes, and messing up, so I gave up, and stepped away from it. So - today I thought of something else that is much better! 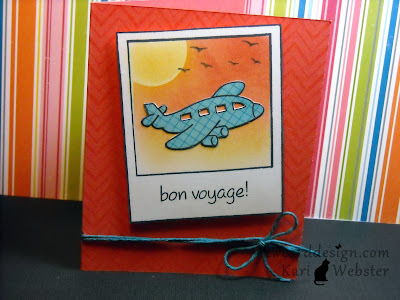 I used "Bon Voyage" and "Say Cheese" for my card. I thought a pretty sunset would be neat behind this cute little airplane. It just screams "vacation", doesn't it? 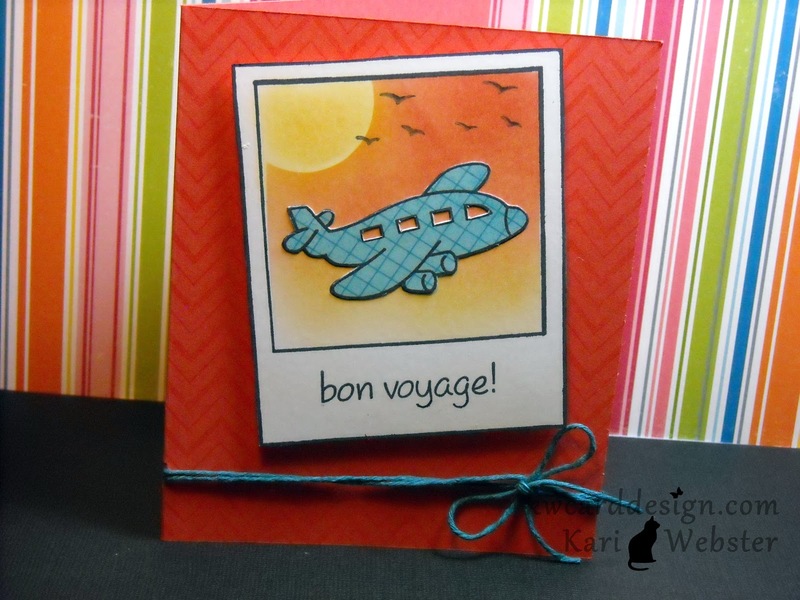 I paper pieced the airplane from My Minds Eye 6 x 6 - Fly a Kite. The bird images comes from a SU! set I have called Up, up and away. 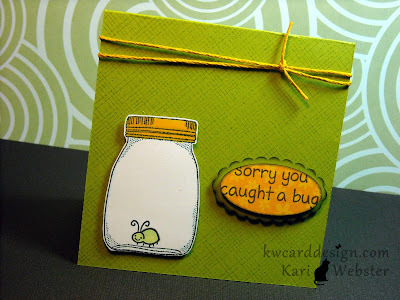 My card base is some from SU!, and the twine is from Lawn Fawn. 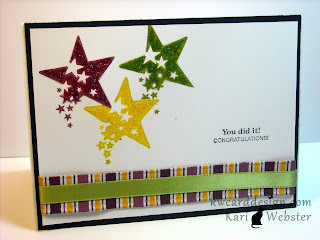 I used this Chevron background stamp from Hero Arts. 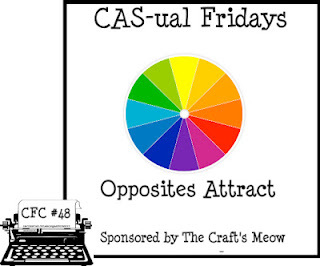 It's that time again to show you my submission for this week's CAS-ual Friday Challenge - Opposites Attract. Like most of us I love color!! So, this week we had to choose to opposite colors on the color wheel for our CAS projects. I choose yellow and purple! 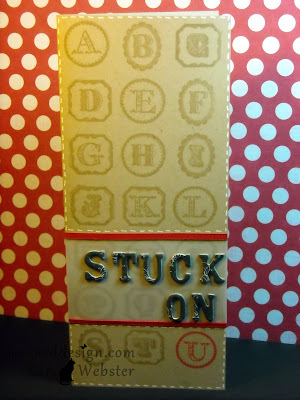 I started out by stamping my houndstooth pattern from my Paper Smooches set Debonair. I just love this set! It is awesome, people!! I stamped one in Grape Jelly Memento Ink, and the other in Dandelion Memento Ink. I love the coverage that these inks give me on photopolymer stamps. 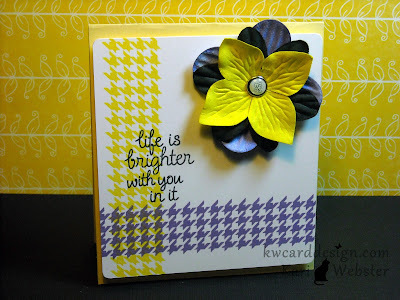 Then I picked some paper flowers from my stash that were yellow and purple, and added black in the middle to compliment my sentiment, which comes from HA set Sky's The Limit. I popped up my card panel on foam adhesive, and called it done. I love the contrast of these two colors. I hope it makes you smile, like it does me!! Stay Inspired my friends!! Be back soon! I used PS sets Debonair, and the sentiment is from Word Up. I loved how the flowers just came together - and I know you really can't tell from the photo - but the button I had from my stash has a chevron pattern to it!! So hot right now!! I know there will be lots of wonderful designers submitting their apps too for a chance to be on the wonderful challenge blog - and to represent the one and only Paper Smooches. Their stamps are so much fun and whimsical and the fonts one their sentiments are one of a kind! Wish me luck!! Be back soon for another card share!! To all of you - I wanted to say Happy Easter! May we all remember how blessed we are and share it with family and friends. Annndddd I'm back to share with you my take on the Lawnscaping Challenge for this week : Coloring. So - What is cuter an a cow?? 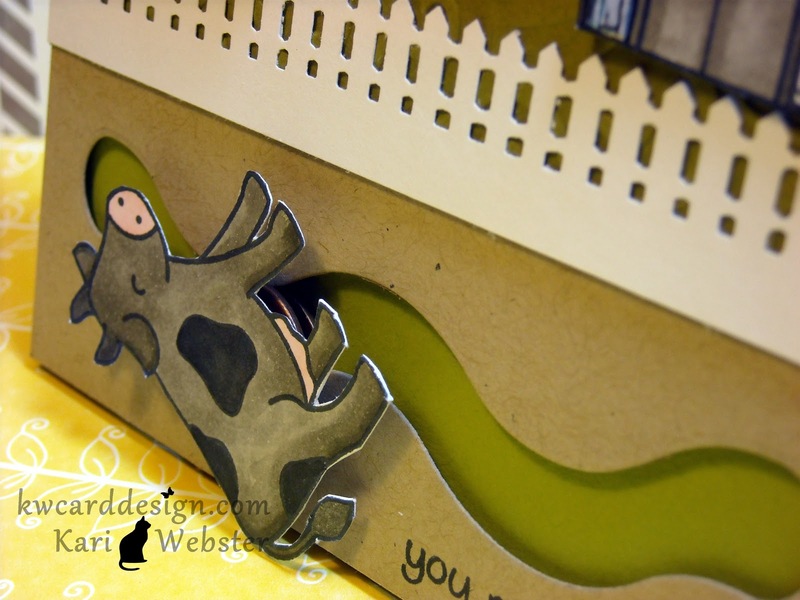 How about a SPINNING COW! YEP - I did a spinning cow. I couldn't resist. So I made it through another Monday!! YAY!! Hope the rest of the week goes as smooth as today did. I couldn't wait to get home and make my submission for this week's CFC - Name That Tune. Make CAS card inspired by a song. Since Lionel Richie recently came out with an album of his greatest hits with a country flair - it brought to my mind one of my favorite songs of his - "Stuck on You". I have loved this song since I was a child. It brings back so many wonderful memories of my mom putting his albums on while cleaning the house - and I would sing along! Good Times :o) So - I that song inspired me for my idea for this weeks challenge.